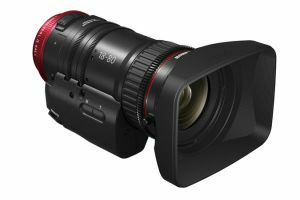 Canon announced the details of an upcoming firmware update for their Canon C300 mark II camera, which will add audio in 2K crop mode and more new functions. The new firmware is expected to land in mid December. This entry was posted in Cameras, News and tagged Canon 18-10mm Compact Servo Zoom, Canon EOS C300, Canon C300, Canon, Canon C300 Mark II on 14th November 2016 by Visuals. Yesterday we had an amazing Hands-On Open Day and a 1st UK Exclusive for the brand new Canon CN-E 18-80mm T4.4 L IS KAS S Compact Servo Zoom lens. We would like to thank all our attendees, who visited our Teddington branch and were some of the lucky 1st in the UK to get hands-on with this fantastic lens. We truly believe this lens will have a huge impact on documentary productions and events where you have to be quick on your feet and have a great zoom lens to match. This entry was posted in Lenses, Cameras, News and tagged Canon CN-E 18-80mm T4.4L EF, Canon Log 3, Canon, Canon C300 Mark II on 10th August 2016 by Visuals. We are extremely proud to announce we are running an exclusive (and free) hands-on event in partnership with Canon at our Teddington base on Tuesday, 9th August next week during which attendees will have the rare opportunity to be some of the first in the UK to experience up-close and personal the brand new and soon to be released Canon CN-E 18-80mm T4.4 KAS Compact Servo Zoom lens. This entry was posted in Accessories, Lenses, Cameras, News and tagged Events, Canon CN-E 18-80mm T4.4L EF, Canon, Canon C300 Mark II on 5th August 2016 by Visuals. 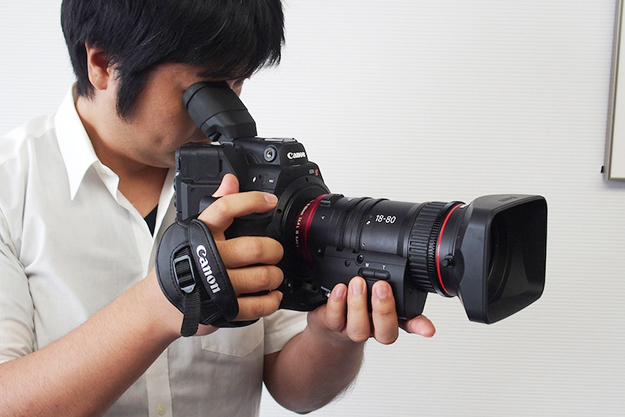 Renowned cinematographer and Canon Technical Advisor for their motion picture equipment, including the Cinema EOS Series, Brent Ramsay has the low-down on the latest firmware update for the Canon C300 Mark II, which adds among many other things, the much-awaited Canon LOG 3, while also hugely improving Canon Log 2. 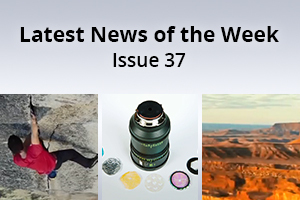 This entry was posted in Accessories, Cameras, News and tagged Comparison, Canon Log 3, Canon C300 Mark II Firmware Update, Canon EOS Cinema, Canon C300 Mark II on 2nd August 2016 by Visuals.